During pregnancy the uterus gets stretched causing strain to the abdominal muscles, spinal extensor muscles and ligaments. The weakness and hypotonicity of these muscles and ligaments, especially the abdominal muscles may cause improper posture. This improper posture causes strain to the lumbosacral spine. 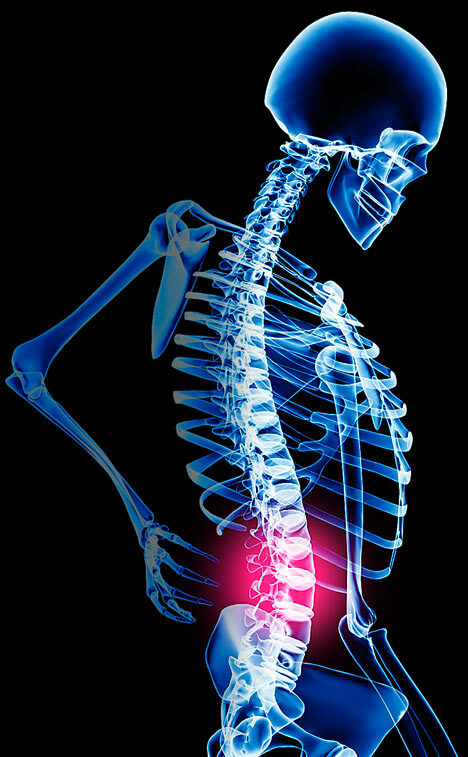 This improper posture also enhances strain at the sacroiliac joint. 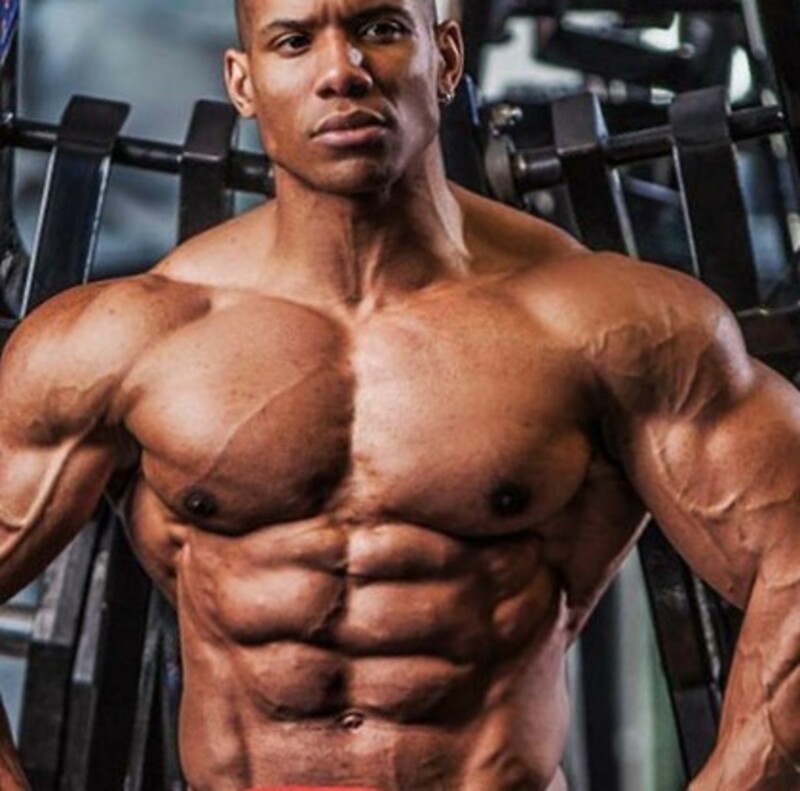 Strength and the maintenance of the strength of the abdominal muscles is very essential to reduce the strain at the lumbosacral region and the sacroiliac joints. Here I deal with certain exercises for the abdominal muscles that can be done after pregnancy. Avoid painful and uncomfortable exercises. 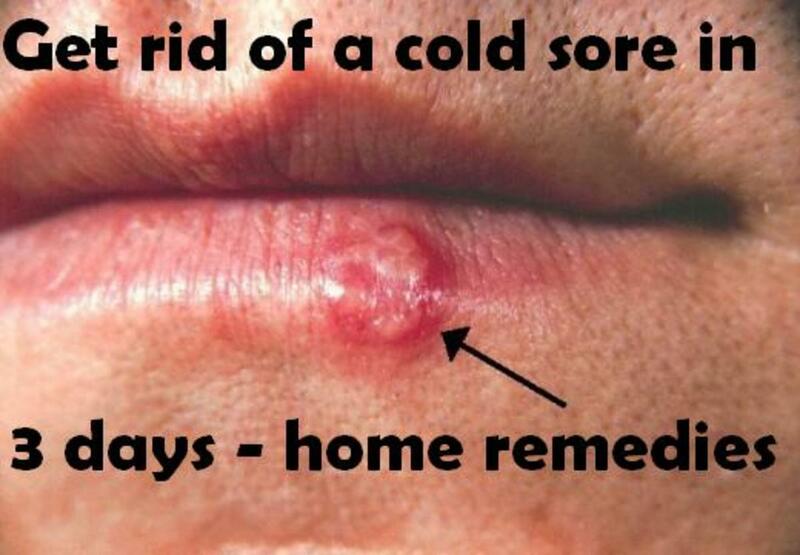 Simple, painless and comfortable exercises are done in the beginning. 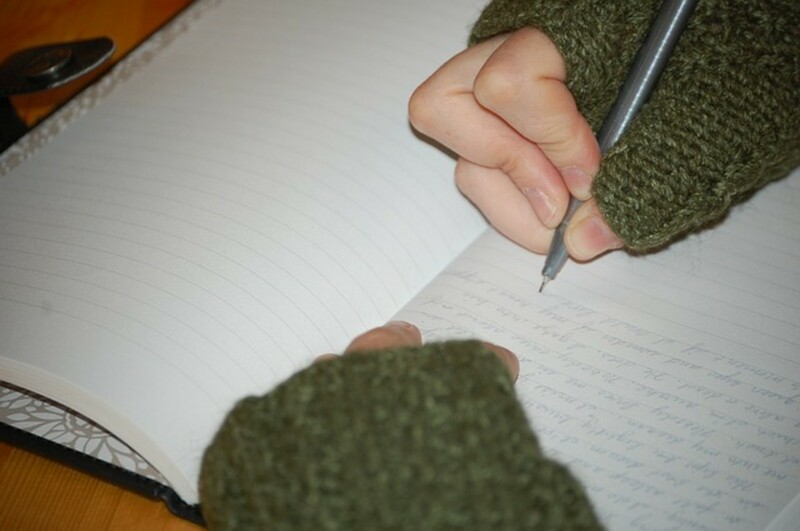 Slowly and gradually exercise program may be made more stressful. For abdominal strengthening and pelvic tilt exercises, please refer my earlier articles of the same name. The patient lies flat on the bed with the hips and knees flexed and the feet flat on the bed. Place the hands behind the head with the flexed elbows directed upwards. Now the head rests on the hands. Lift the head slightly up by the hands. Care should be taken that while doing so the chin should not touch the chest. Now raise the chest up along with the head, till a maximum contracture is felt on the abdominal muscles. Once the maximum contracted position is attained, hold in that position for 5 seconds. Now slowly reverse back to the original position. 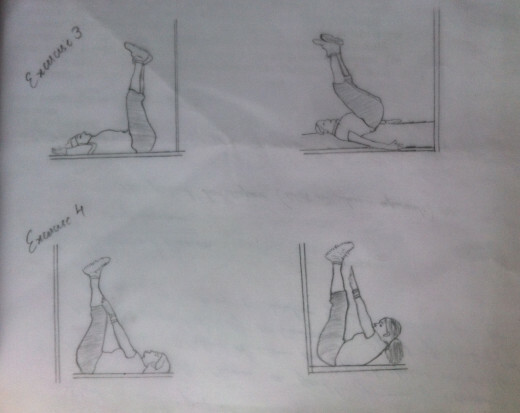 Do the exercises 5-6 times, slowly progressing to 10 times. Do the exercise program twice a day. This exercise is same as above. But the starting position is different. The patient lies flat on the bed with the hips and knees flexed with the lower leg on a chair. Do the exercise as above. The patient lies flat on the bed with the extended arms on the bed by her sides. The extended legs are lifted from the bed and are held up so that the plantar aspect of the feet directed upwards. Now slowly and gently lift the low back and the gluteal region from the bed. 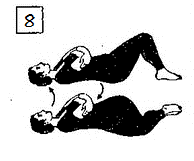 Once the maximum contraction is attained in the abdominal muscles, hold in that position for 5 seconds. Now slowly and gently reverse back to the original position. Do the exercise 5-6 times, progressing to 10 times. Do it twice a day. This exercise is a modified form of the above exercise. The patient lies flat on the bed with the extended arms on the bed by her sides. The extended legs are lifted from the bed. Hold them up in such a way that the plantar aspect of the feet directed upwards. Now the head and shoulders are also lifted up with the extended arms stretchedtowards the knees. 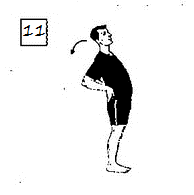 Once the maximum contraction is attained in the abdominal muscle, hold in that position for 5 seconds. Now slowly and gently reverse back to the original position. Do the exercise 5-6 times progressing to 10 times. Do this exercise program twice a day. Single knee to chest-Lie on your back with the extended arms by her side. Bend one leg while keeping the other leg straight. Hold the bend leg behind the knee and bring it towards the chest as much as possible. Hold it in the maximum bend position for 5 seconds. Now bring it back to the starting position. Repeat the exercise for 10 times. Now the exercise is done with the other leg. Do it twice a day. 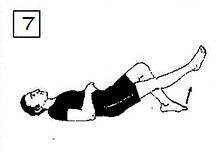 6.Double knee to chest- Lie on your back with the extended arms by the side. Bend both the legs at the hips and the knees with the feet flat on the bed. Hold both the thighs behind the knees and pull them towards the chest as much as possible. Hold in the maximum bend position for 5 seconds. Now return back to the starting position. Do the exercise 10 times twice a day. Straight Leg Raising Exercise- Lie on your back with the extended arms by the side. Bend hip and knee of one leg with the foot flat on the bed, while keeping the other leg straight. Stabilize the low back by tightening the abdominal muscles. Lift the straight leg from the bed and hold it up about 6-12 inches from the bed. Hold it in this position for 5 seconds and then return back to the starting position. Repeat the exercise 10 times. Do it with the other leg. Do the exercise twice a day. Hip Rolling Exercises- Lie on your back on a firm bed with the hips and knees bend and the feet flat on the bed. Bend the arms and place them cross over the chest. Turn the head to one direction while turning the knees to the other direction. Let the knees go as much as possible. Hold in this maximum attained position for 5 seconds and then return back to the starting position. Now repeat the exercise in the opposite direction. Repeat the exercise 10 times twice a day. Harmstring Stretching Exercise- Lie on your back with one straight leg up and the other straight leg resting on the bed. Hold the thigh of the leg which is up around the knee using both the hands for support. Slowly straighten the knee which is up until a feel of stretch is felt at the back of the leg. Hold the leg in the maximum stretched position for 5. Seconds and then reverse back to the original position. Repeat the exercise with the other leg. Do the exercise twice a day. Pelvic Tilt Exercise - Lie on your back on a firm surface with the hips and knees and the feet flat on the bed. Press your back on to the bed by pulling the lower abdominal muscles up and in. Hold in this position for 5 seconds. Now slowly reverse back to the original position. Repeat the exercise 10 times twice a day. 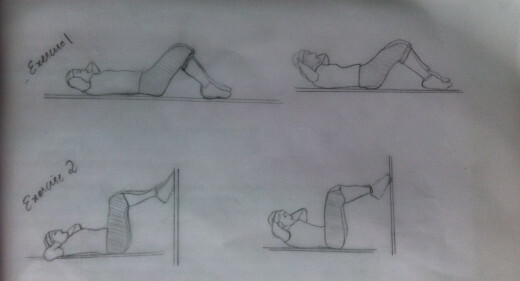 Back Extension Exercise - Lie on your stomach on a firm surface. Place the extended arms on the bed by your side so that the hands are by the hips. Lift your head and shoulders off the mat as high as comfortably possible. Hold in this comfortable position for 5 seconds and then reverse back to the starting position. Repeat the exercise for 10 times twice a day. This exercise can be modified by lifting the legs up and holding while keeping the head and shoulders flat on the bed. This exercise can also be modified by lifting the head and shoulders together with the legs simultaneously and then holding. 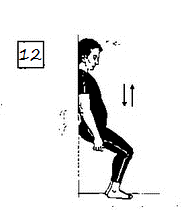 Wall Sliding Exercise – Stand with back leaning against a wall. Bring the feet one foot forward from the wall. Keep the abdominal muscles tight so that the low back presses against the wall. Now slowly slide down the wall by bending both the knees. Hold in this position for 5 seconds and then reverse back to the starting position. Repeat the exercise 10 times twice a day.